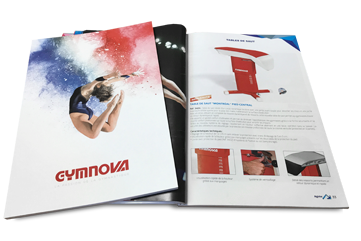 New competition model provides even more comfort and performance thanks to new components that make it versatile enough for all levels of gymnastics. 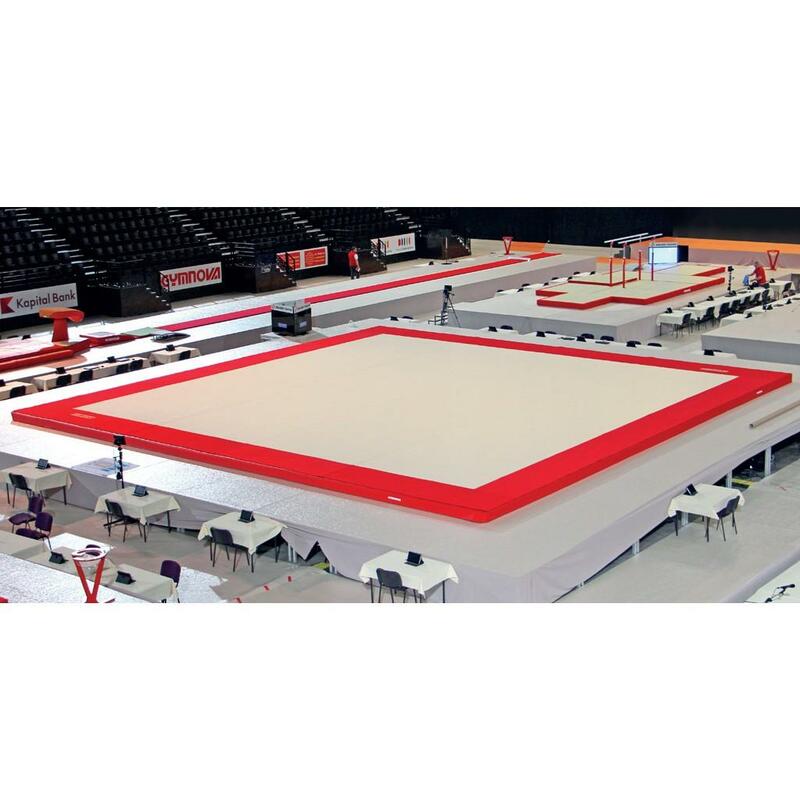 Scientifically designed, this innovative exercise floor is the result of extensive research and development to satisfy and accommodate the performance needs of today's elite gymnasts. 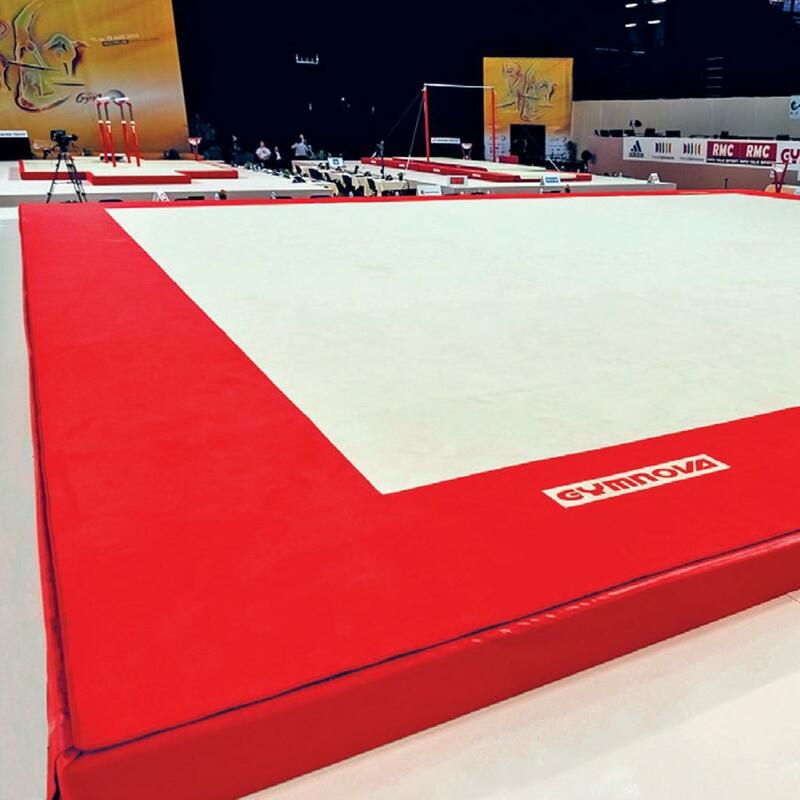 This new spring exercise floor will be used at the 2018 European Championships in Glasgow and was used at the 2017 World Championships in Montreal. Delivery is performed by an independent carrier. 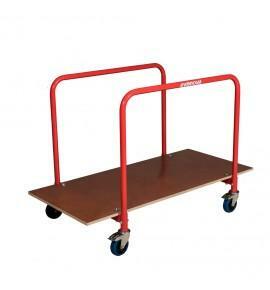 Unloading is to be carried out by your care. 5 to 6 people are needed. 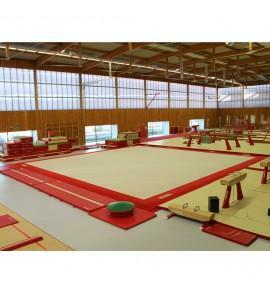 Only complete exercise floors (carpet, foam and floor) can claim FIG approval. Dim. 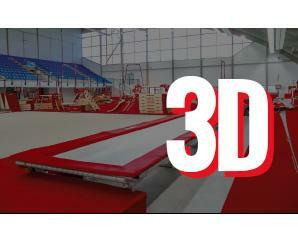 = 14 x 14 m (floor, foam and carpet). 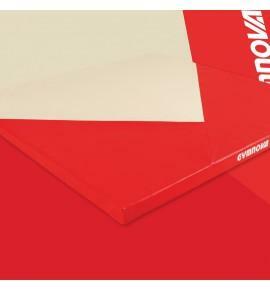 Thickness = 20 cm (identical height to GYMNOVA mats and pits). 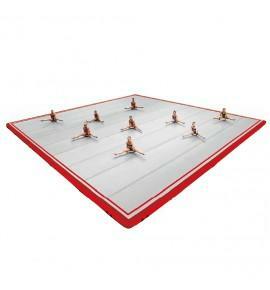 Supplied with an anti-rotation mechanism. 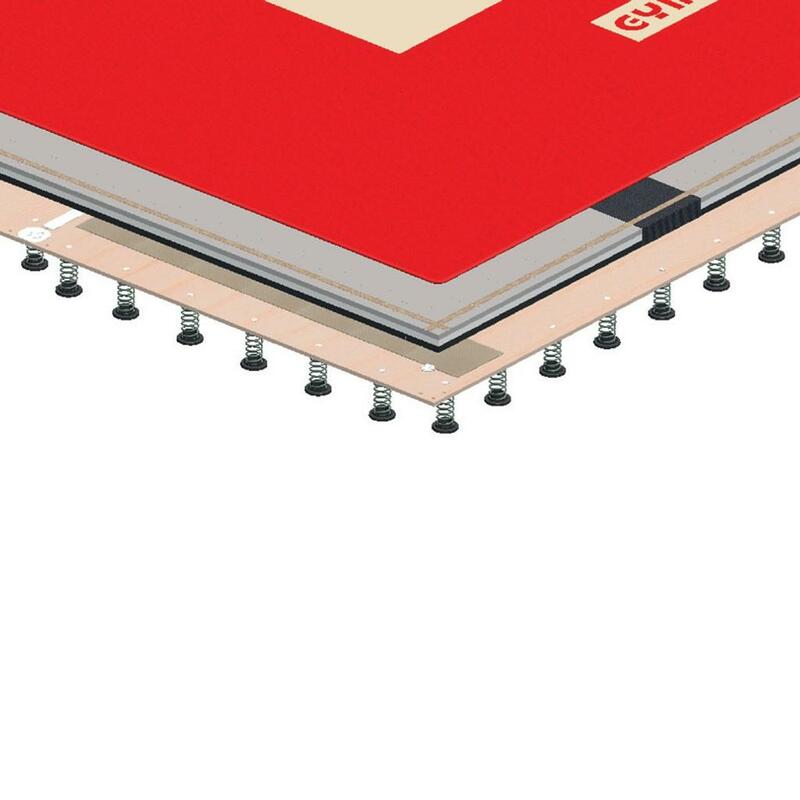 1/ Overlay carpet: made up of several widths joined together by hook-and-loop strips underneath the carpet. Integral edging in a different color. Perimeter of the carpet finished with whip stitching. Built-in anti-rotation system. 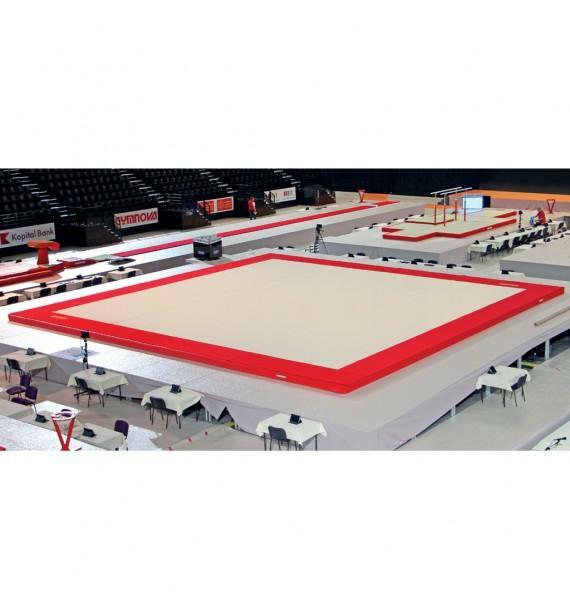 Gymnastics area = 12 x 12 m.
2/ Concertina folding comfort foam: new 56 mm thick laminated foam comprising of 3 different hardnesses, including an ultra-soft 16 mm comfort layer providing dynamism, stability and comfortable landings. 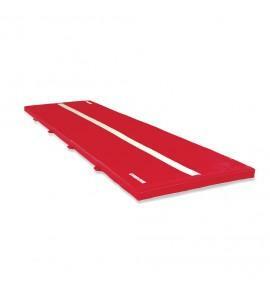 The foam area is made up of concertina-folding mats for quick and easy installation with pre-cut strips around the perimeter providing a perfect finish. 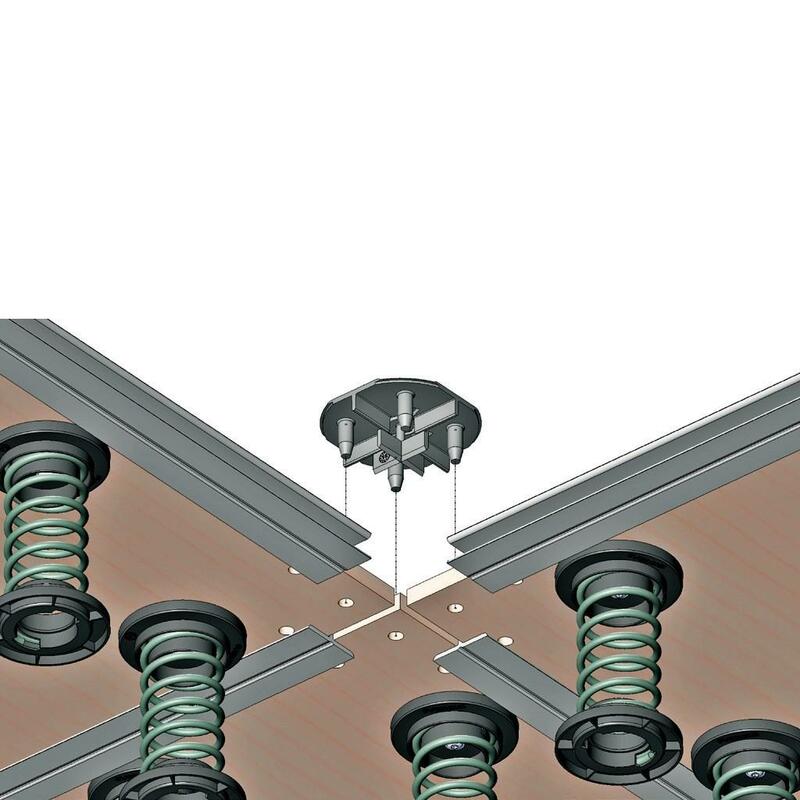 3/ Floor: special plywood laid on new dynamic springs. 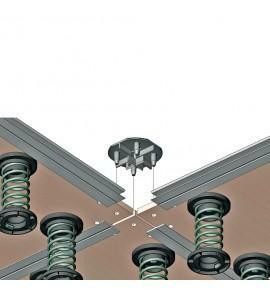 The panels are connected together using new fastening sections and new locking plates for optimum consistency. 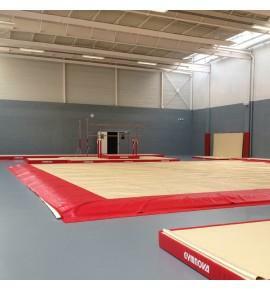 4/ Springs: 2,709 more flexible springs with a height of 125 mm are strategically positioned on the floor for a more consistent rebound and enabling the gymnast to gain more rebound.